Roy Smith has made good use of his automotive and professional experience, putting both to work in order to get his hands around a very complex, difficult, and many-layered history. 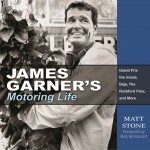 On one level, to write this book seems a simple enough task: one car, one era, one manufacturer, one formula. But in reality, Smith is faced with the convergence of three car manufacturers and one hungry-for-publicity oil company, and the story, which involves sports car racing, rallying, Formula 3 and sports prototypes, begins in the early 1950s. 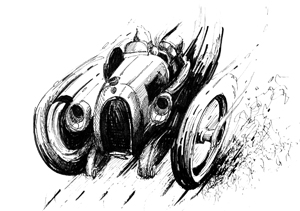 Smith gives us a brief history of Renault, mentioning that Louis Renault had patented a type of turbocharged engine already before World War One. Then, an even more in-depth look at the work of Jean Rédélé at Alpine shows how he made use of fiberglass and good designers (Michelotti) to create a true postwar French sports car based on the 4CV and built on this to eventually win the World Rally Championship in 1973. Alpine longed to be accepted by mother Renault; and eventually was. Another elemental chapter concerns Amédée Gordini, who also looked to Renault for acceptance, but, in the end, was not sure he liked the deal he made. By 1969 Renault had bought 70% of Gordini after the V8 engine failures at Le Mans that year, and put the old man out to pasture. Gordini’s name would remain a marketing tool and cast into the cam covers of the 2L V6 designed by the team of Francois Castaing in 1975. This engine would provide the basis for the turbo Renault F1, and sports racing engines. In 1973 Renault bought a majority of Rédélé’s Alpine company, re-introduced the once-cancelled sports prototype programs and allowed Alpine to continue its successful ventures into Formula 3 and 2 racing. In 1968, Alpine had secretly built a Formula One car, the A350, powered by the down-on-luck-and-power Gordini V8. This project was nixed by the Renault board, who proved to be ever so cautious about proceeding with a motorsports program until oil giant Elf provided the necessary impetus—and cash—in the early 1970s. Testing began in mid 1975 on the turbocharged 2L V6, already successful in the Alpine Sports prototypes. The displacement was reduced to under 1500cc, and a turbo unit installed. It quickly began putting out horsepower figures of over 500, which is roughly what the F1 3L Cosworths were producing. Renault was on its way. Smith covers this in a very detailed chapter, and leads on to the side-by-side development of the Alpine A500, the prototype semi monocoque Formula car designed by the team headed by Andre de Cortanze. The A500 successfully tested new Michelin radial racing tires and the turbo 1500. By the end of 1976, Renault had its first F1 car, the RS01. In 1979, the turbo-charged Renault Elf won its first Grand Prix (Dijon). It was a historic moment for Renault, France, and the beginning of the fascinating era of turbocharged F1 cars. 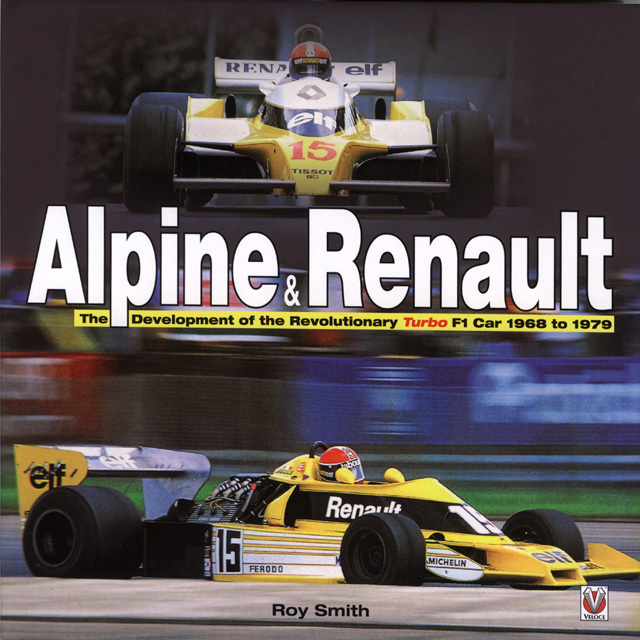 After a detailed history and description of the development of the V6 Turbo and chassis, Smith tracks F1 race results from the Renault perspective from 1977–1979 and follows up through 1985 with plenty of technical insights between the chapters on the races. It is generally in chronological order, but often seems in chaotic—as said above, this is a difficult topic to manage and Smith has done a superb job—and in a mere 235 pages. Since this is largely a post-1955 history, 99% of the photos are in color and extremely relevant to the text. The captions, however, are slight, perhaps too slight. Another criticism is that although there is an Index, there are neither Bibliography nor footnotes. There is a well-done acknowledgement section in the Introduction. In addition to the drivers and designers, Smith involves the company managers and Public Relations men who were very much the building blocks of the Renault Sport (to be headed by Gerald Larrousse). 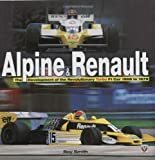 Smith doesn’t shy from the technical aspects of F1, with full descriptions of the Alpine A350 F1 car that debuted a “flat” suspension, and a full chapter covers the technical aspects of the turbocharged Renault Gordini F1 engine. Smith has personally interviewed many of the original participants, making this a wealth of first-person accounts of an era long gone. The interviews, comments, and illustrations provided by the participants make the book; there is no guessing, no assumptions, but clear and concise comments from those who did the actual work. A, partial, list of the interviewees is thoroughly impressive: Chassis designer Richard Bouleau, driver Mauro Bianchi, Alpine manager Jacques Cheinisse, Henri Cauchet, Francois Castaing, Jean Pierre Boudy, Bernard Dudot, Francois Guiter, Jean Sage, Gerard Larrousse, Jean Pierre Jabouille. The main subjects are very well aware of Smith’s efforts and four contributed to the Foreward; drivers Jabouille and Bianchi, engineer Bernard Dudot, and Elf manager Francois Guiter, who in many respects was the key to building the team responsible for Renault’s successes in F1. 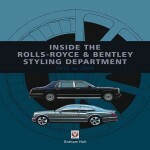 It should be apparent that this is a must-have for students of Formula 1, French racecars, Alpine, Gordini, and Renault. A huge gap filled! Copyright 2010, Pete Vack (speedreaders.info).